15. 2 Brothers On The 4th Floor feat. Des'Ray and D-Rock - Do You Know? 21. Scooter - How Much Is The Fish? 3. Somethin' For The People feat. Trina & Tamara - My Love Is The Shhh! 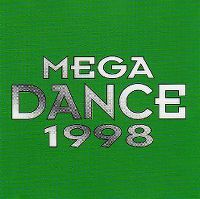 Mega Dance 1994 - The Greatest Dance Hits Of The Year! Mega Dance 95 - The Greatest Dance Hits Of The Year! Mega Dance Top 100 - The 100 Coolest Dance Traxx! Mega Dance Top 100 Vol. 3 - The 100 Coolest Dance Traxx!